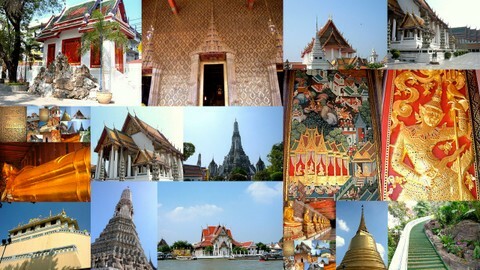 There are about 887 Bangkok temples and it would take more than a lifetime to see them all. 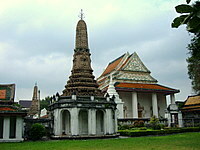 These temples are categorised into those in the pre-Ratanakosin era and those in the Rattanakosin era. 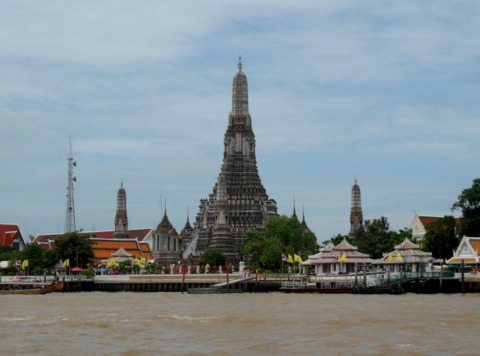 On the Thonburi bank of the Chao Phraya we have the glittering Temple of Dawn or Wat Arun. 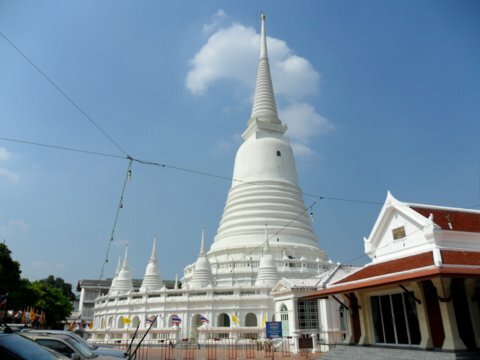 The chedi in this old temple from the Ayutthaya era are studded with thousands of pieces of porcelain. 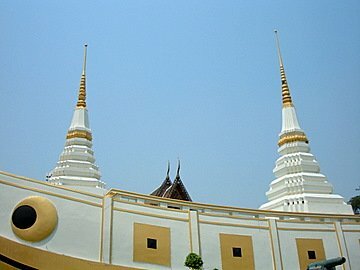 King Taksin passed the old temple at dawn and vowed to restore it. The Emerald Buddha was kept here until the reign of King Rama I when the Temple of the Emerald Buddha was built. Wat Rakhang, the Temple of Bells, is another old temple from the Ayutthaya era on the Chao Phraya with a number of historical buildings linked to the early kings. Wat Hong Rattanaram a temple from the Ayutthaya era has some very old Buddha statues, beautiful temple decor and murals in the ubosot and it's located in an area in the older part of Bangkok that's steeped in history. 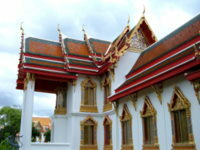 The Temple of the Reclining Buddha, Wat Pho or Wat Potoram, is one of the Bangkok temples dating back to the 17th century. 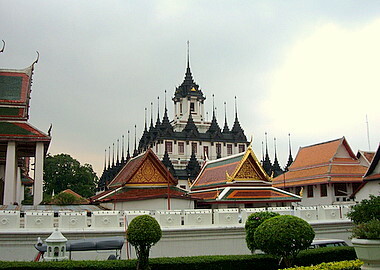 King Rama I expanded the temple when Bangkok was established as capital of Thailand. 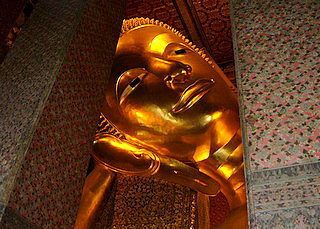 The centerpiece of Wat Pho is the huge statue of the reclining Buddha, almost 50 m in length. 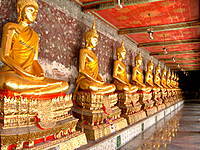 Wat Mahathat dates back to the Ayutthaya days and has an interesting history. Prince Mongkut, who later became King Rama IV, was ordained as a monk here in 1824. The next old Bangkok temple was built during the Ayutthaya period. 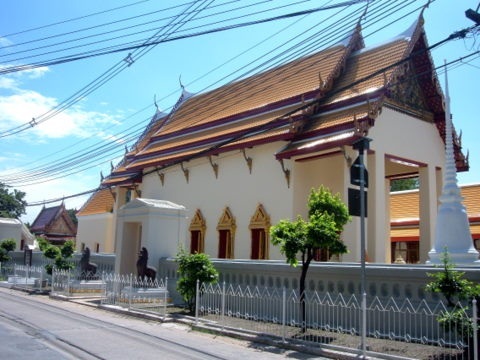 It was originally called Wat Khok Kwai until the reign of King Rama I (1782 - 1809) when it was renamed Wat Khok Krabue. 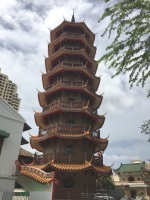 In the reign of King Rama III (1824 – 1851), a Chinese junk was built in the temple grounds and the temple was renamed Wat Yannawa. 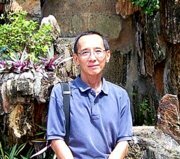 One of the favorite ways of merit making is to visit nine temples in a day. 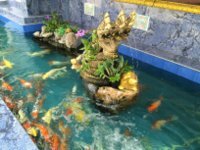 Merit making at nine temples presents the historical aspects of these nine temples, the sequence in visiting them and how to get there. 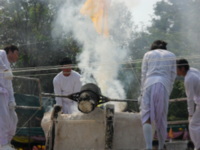 A major form of merit making is the Buddha image casting ceremony, which is only performed when a new Buddha image is cast. 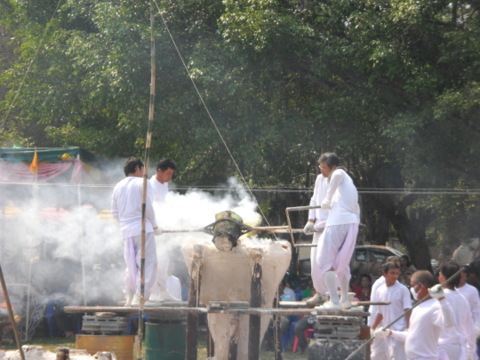 I had the chance to visit such a ceremony at Wat Tho Yai in Chonburi. 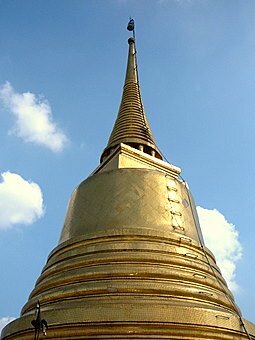 When Bangkok was established as the capital, starting what is known as the Rattanakosin era, several temples were built by the Chakri kings. 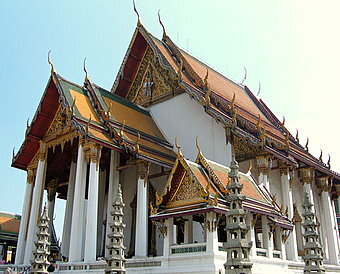 The most famous of the Bangkok temples is the Temple of the Emerald Buddha or Wat Phra Kaew. 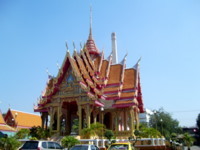 This was the first temple to be built during the Rattanakosin era. 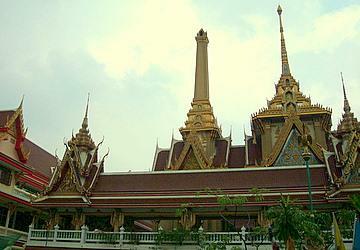 The temple was built from 1782 – 1784 during the reign of King Rama I to house the Emerald Buddha. This much-revered statue with a long history has traversed more than 1,000 km across half of Thailand before it was finally installed in this temple in 1784. In 1807, King Rama I started the construction of Wat Suthat. The construction of this temple spanned three reigns of the Chakri Kings and was only completed in 1843. 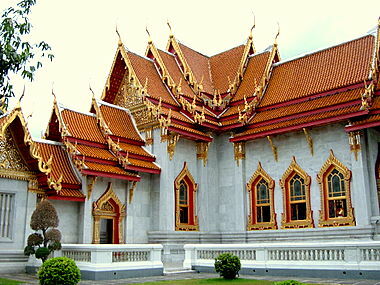 One of the more famous temples is Wat Bowornniwet built during the reign of King Rama III. Prince Mongkut, future King Rama IV, was abbot here in 1832 and started a long royal tradition. Wat Ratchanatdaram a royal temple built in 1846 by King Rama III, is renowned for the Loha Prasat or Metal Castle within which the relics of Buddha are stored. 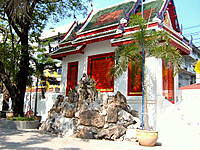 Wat Thepthidaram in Mahachai Road opposite the old Fort Mahakarn community, was built by Rama III in 1836. Sunthorn Phu, the famous Thai poet, considered the Shakespeare of the Thai literature, was ordained as a monk here. 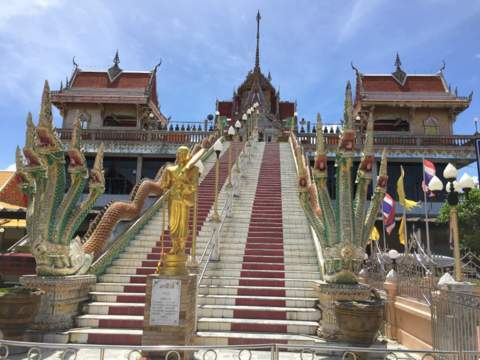 On an artificial hill almost 100 m high stands Wat Saket or Temple on the Golden Mount towering over the old city. 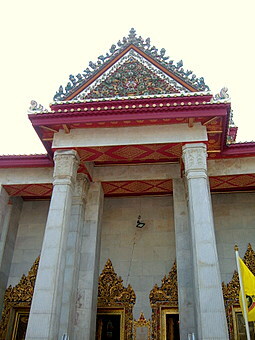 Building of this temple started during the reign of King Rama III. 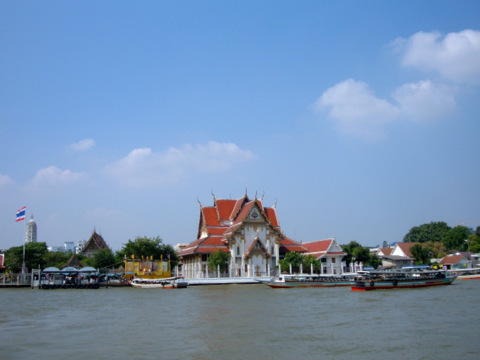 Owing to difficulties in firming the artificial mount, the temple wasn't completed until the reign of King Rama IV. 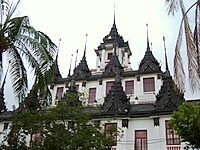 Wat Soi Thong or "golden necklace" was built in 1851 in the reign of King Rama IV. This old temple with its golden spires and gables is beautiful. It’s very local and not even listed on the tourist circuit. Wat Soi Thong the "golden necklace"
The magnificent Marble Temple or Wat Benjamabophit was built by King Rama V in 1899 near Dusit Garden to replace two older temples pulled down to construct the new palace. These Bangkok temples are not only places of worship and spiritual retreat but are also steeped in the rich history of the Rattanakosin era and the Chakri kings. 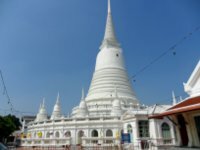 For a Bangkok temple that's not famous for its regal connections, history or old architecture but for a legendary female ghost, visit Wat Mahabut in Phra Khanong. Wat Traimit in Chinatown Bangkok is famous for its huge Golden Buddha which weighs more than 5 tons and has gone down in the Guinness Book of Records! This temple was where Sunthorn Phu, one of Thailand greatest poets, attended school Wat Sri Sudaram. Wat Mahapruettharam is a very old temple that is often overlooked by visitors. 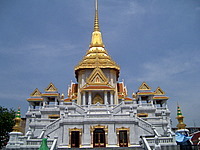 The temple was rebuilt in the reign of King Rama IV. 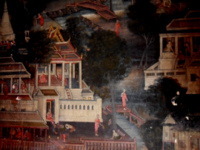 The ubosot has some beautiful murals and there is also a 19 m reclining Buddha in the viharn next to the ubosot. 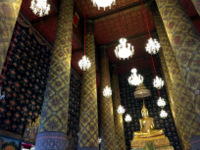 Wat Prayurawongsawas, a temple in Thonburi, Bangkok has the distinction of winning the Award of Excellence in the UNESCO Asia-Pacific Heritage Awards for Cultural Heritage Conservation in 2013 for the restoration of the chedi and museum. 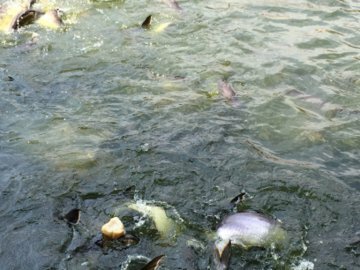 Wat Lan Boon, a temple on the banks of the Prawet Burirom Canal in Lat Krabang in eastern Bangkok, is a favourite with visitors for its fish sanctuary. 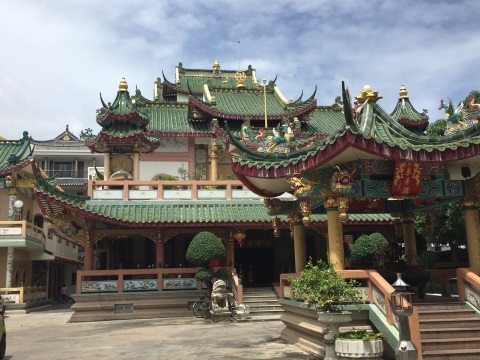 Chee Chin Khor is more than just a temple, it’s a religious and benevolent foundation for disseminating Buddhist books on morals and prayers. In addition, it conducts charitable programs funded by public donations to help the poor.